Kärcher is extending its range of walk-behind scrubber driers with a further model featuring the innovative KART steering concept: the brush head of the BR 45/22 C is controlled directly via a steering wheel. This makes the machine extremely manoeuvrable. 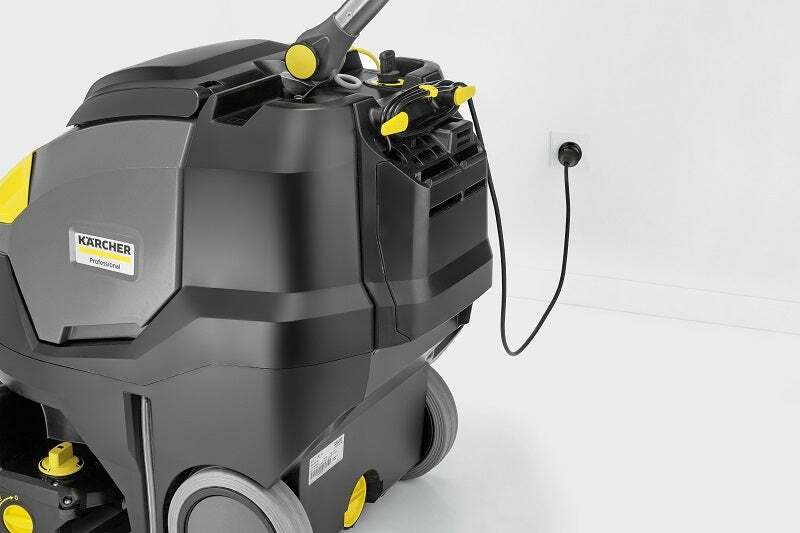 With a working width of 450 mm and the lithium-ion battery, this machine is ideal for efficiently cleaning surfaces in heavily furnished areas. When the battery is fully charged, the operator can use the machine uninterrupted for two hours. The brush head sets the driving and cleaning direction, whilst the driving power of the roller brush moves the machine forward. When the brush is turned inwards, this compact machine even cleans when moving backwards. The squeegee always faces the direction of travel so that water is always picked up when turning corners. The KART steering system enables this agile machine to clean at right angles from a wall and reach easily into corners. The stainless-steel handlebar is height adjustable and can be folded for transport. With 1,300 cycles, the maintenance-free lithium-ion battery, consisting of two blocks, is extremely long-lasting. It is fully charged in only 4.5h. The machine can then clean up to 1,800m² in an hour. When operated in the resource-conserving eco-efficiency mode, the run time of the battery is extended by approximately 40%. Intermediate charging is possible at any power outlet, whereby charging interruptions do not shorten the lifetime. The machine weighs only 48kg due to the low-battery weight, which makes it very easy to handle. The large wheels make it easy for the operator to transport the machine over uneven surfaces and stairs.